Appearance: Deep garnet with purple hues. Nose: A ripe and savoury nose of red currants, violets, dark plums and light mocha oak. 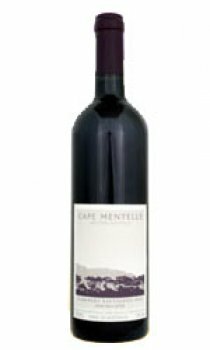 Palate: Full bodied cabernet with the classic depth and richness of Cape Mentelle. Ripe blackcurrant and mulberry fruit with rich couverture chocolate, subtle nutmeg and cinnamon spices. There is a slatey bright acidity and a long palate supported by fine cedary tannins. Food pairing: Roasted pigeon stuff ed with porcini mushrooms on a bed of Puy lentils and an accompanying rich jus. Cellaring: Will reward cellaring until at least 2020.